Artists Michael Angelo, Joseph Aldbers, Jackson Pollock, Da Vinci and many more artist’s created master pieces that have stood the test of time. Generations have been in awe over their work and inspired for many centuries. It seems the fashion world has caught the inspirational bug. 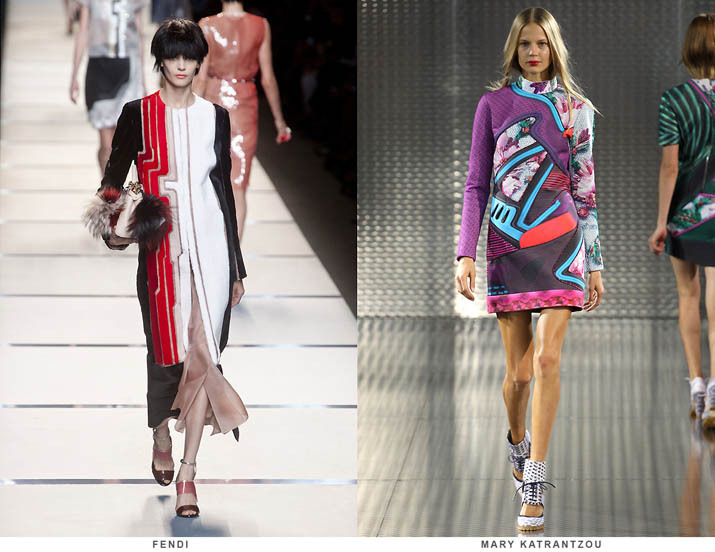 Garments appearing on the spring 2014 runway’s across the globe are works of art. The prints burst across the designs with artist passion. The craftsmanship and detailing inside and outside of these garments are alone master pieces. Celine’s spring RTW collection was delightfully feminine. The models stepped down the runway to George Michaels freedom wearing blouses and dresses that had abstract brush strokes across the garment that made it eye catching. Flowy bohemian skirts, comfortable long knit tank tops, and tunics with bangles made an audacious statement. 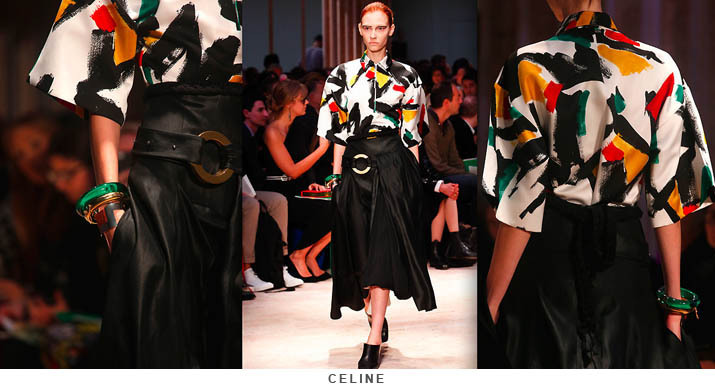 Celine was channeling all art lovers, powerful women and maybe a tiny bit of the 80’s; however it all come together wonderfully. Alexander McQueen’s collection by Sarah Burton took an edgier approach with artistic elements with a punch of rocker meets roman warrior queen. Pleating and style lines controlled your eye to look at these powerful garments and the models shoes were extreme works of abstract art; that reminded me of futuristic furniture. The gold cuffs and helmets looked like powerful Roman and Terra Cotta warriors. Harness tops, knee length skirts with leggings peaking out, garments embellished with ostrich feathers and geometric prints are just a few of the things you saw during the showing of the collection. 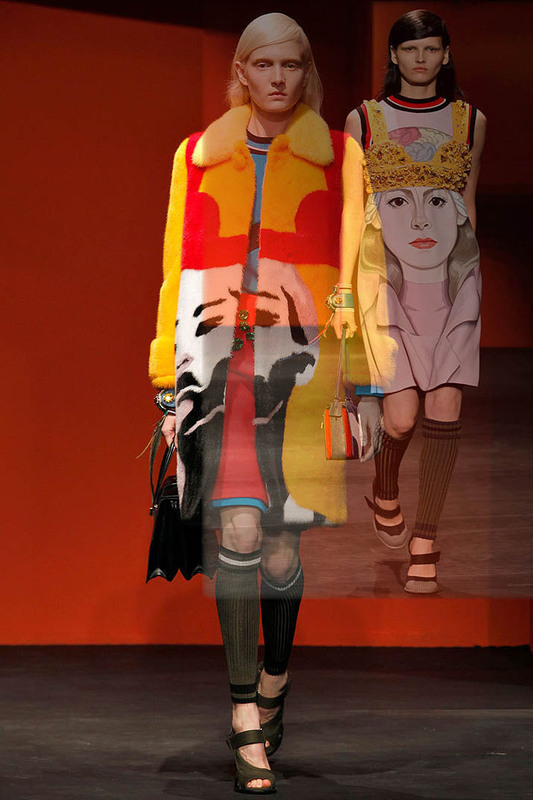 Prada made some noise with its bold printed garments. Miuccia has never been one to sit back and not make a statement and after the show she said “I want to inspire women to struggle,”. These powerful feminine paintings splashed onto girly dresses, oversized coats and models lids brightly colored made an artistic expression. 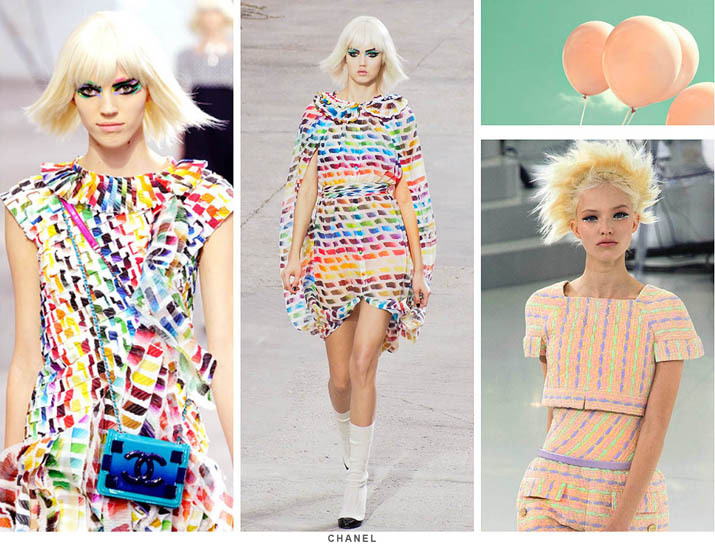 Chanel also had models with bold painted glitter eyeshadow, candy splashed prints and pastel colors on the runway. 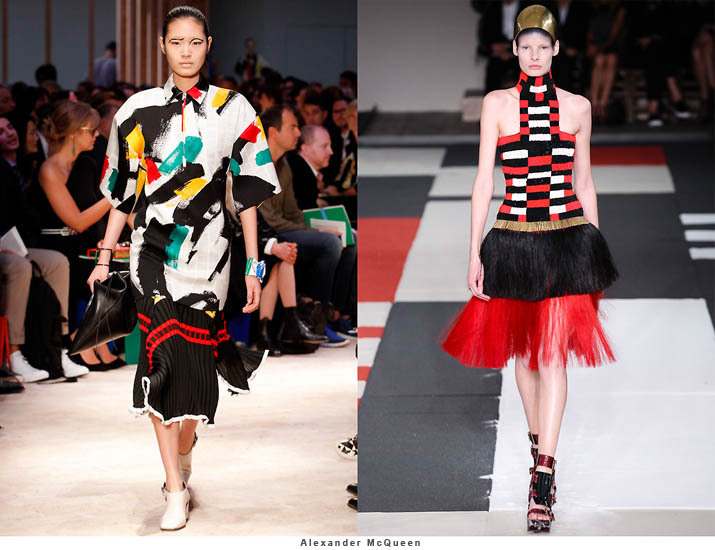 Karl Lagerfield always knows how to make a splash in the fashion world and he was inspired by the arts. The show was turned into a studio gallery on the walls and on the runway. He had something for every woman. Classic suits in basic colors or pastels, fun printed dress, fitted solid dress, cute cropped tops with wide leg pastel pants made my mouth water. This is a fun trend and can be worn in so many variations. I can’t wait to wear a artistic masterpiece this summer.